We’re continuing with our back to school theme this week by sharing some great back to school organization tips you can use the night before! Plus, we’re participating in a fabulous linkup! Nothing is worse than waking up in a panic to get your kids ready for school. We’re homeschoolers, but I still find that if I go through a checklist the night before class starts, our school day runs much, much smoother. 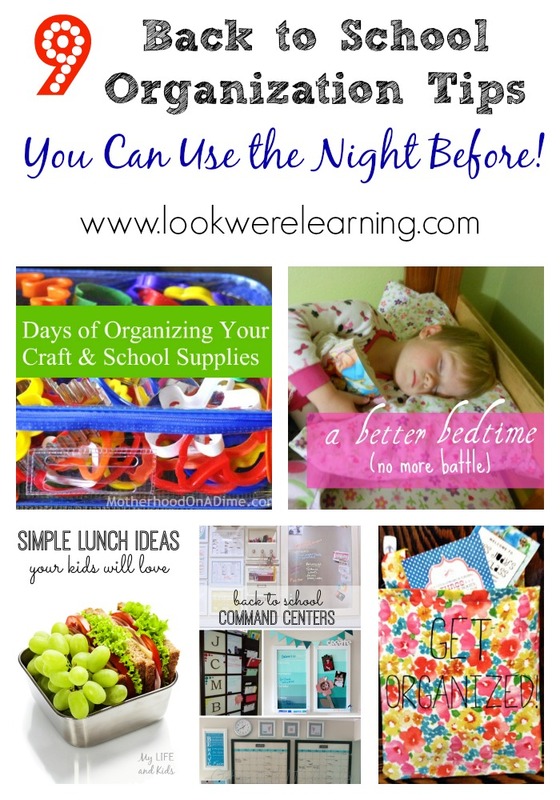 So – here are nine “night-before” back to school organization tips for your family, whether your kids are in homeschool, public school, or daycare! 1. Make a menu plan. 2. Prepare the kids’ lunches in advance. 3. Set out the kids’ clothes for the next day. 4. Use a command center to keep track of assignments and events. 5. 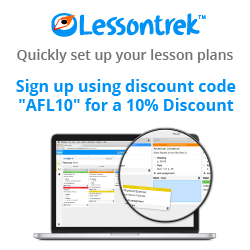 Plan lessons in advance and keep them organized. 6. Choose your read-alouds for the next day. 7. Use a dedicated space for keeping crafts and supplies. 8. Put your school items back before going to bed. 9. Establish a bedtime routine and stick to it! 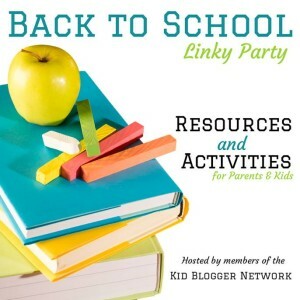 This post is part of the “Back to School” Linky Party hosted by The Educators’ Spin on It and featuring members of the Kid Blogger Network! 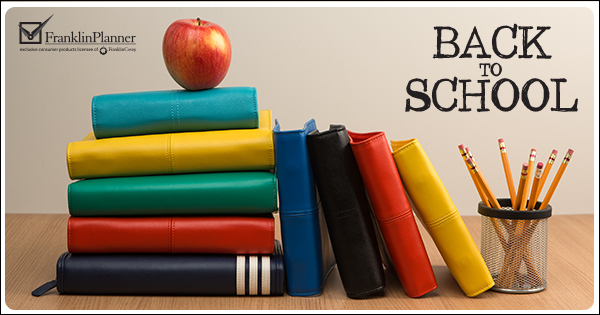 Click on over to read the Back to School posts from our fellow bloggers! 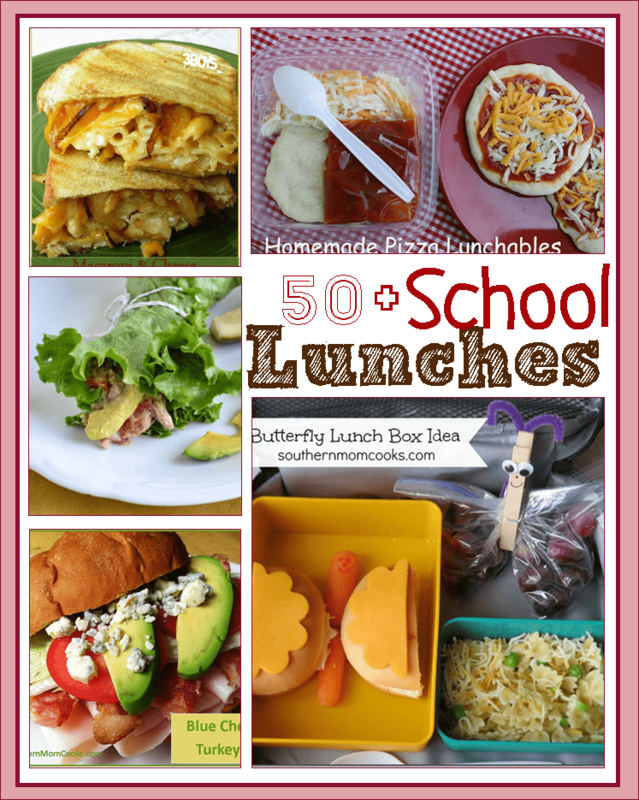 So many great ideas to get ready for back to school! Thanks for sharing. You’re welcome! Happy first homeschooling year! My kids and I love the excitement of back to school time. Great tips! Pinned and stumbled! Great tips and an awesome giveaway! Many of these are already part of our routine, but the reminders are good. 🙂 I’m going to check out the lunch and menu ideas. Two areas I tend to get stagnant in. Me too! I end up making PB&J everyday…lol. Great ideas to implement. Thank you for linking up with Mom’s Library. I’ll be featuring you this week. I hope to see you again soon. I need all the tips that I can get! Thanks so much for all the great resources. Very excited about this school year! Thanks for the great tips in your post! What great ideas for a successful school year! Thanks so much for sharing on Makeovers & Motherhood’s Welcome Party Wednesday Link-Up! I need to do better with preparing the night before. Thanks for all the ideas! Great ideas! I am always looking for ways to streamline our homeschool day. This is so helpful! Thanks for the fabulous ideas! 5th year homeschooling!